Old Dominion are one of those bands that continue to turn out hit song after hit song and not just in their singles but in every album track too. Currently on their second album Happy Endings, Old Dominion continue to grow from strength to strength. Their debut Meat and Candy wowed fans and critics with its fresh, pop country, up beat, quirky and well crafted sound and the band saw much success in their singles such as Break up With Him, Snap Back and Song For Another Time. Nominated for and winning multiple awards already, Old Dominion have more than proven that they are a band well worthy of their success and that they deserve so much more recognition. Happy Endings, another album full of single worthy tracks shows a slightly more mature side to the band but maintains their zesty, quirky, tongue and cheek, slick sound. Singles No Such Thing As A Broken Heart, Shoe Shopping and Written In The Sand hold infectious melodies and make the band irresistible to listen to. Originally moving to Nashville as songwriters, forming a band was definitely the right decision. Old Dominion work so well together – being in a room with them for an interview I picked up on a very strong friendship that was full of admiration, good humour, loyalty and creativity. Check out interview here. Old Dominion last toured in the UK as a support act for Thomas Rhett’s Home Team tour which as a much loved band in the UK left fans confused to why they didn’t come over as headliners. 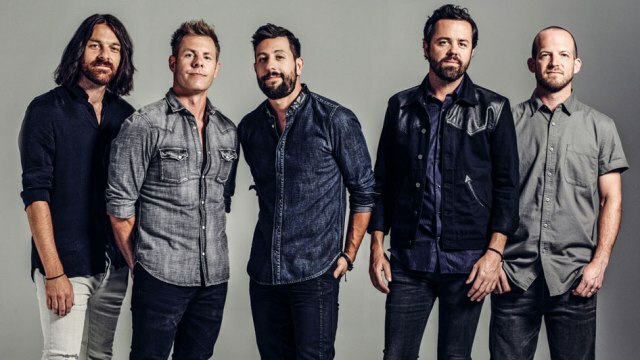 Unaware of their huge fan base here, Old Dominion were left in awe of their fans at their shows and received high praise from audiences who stated their act was hard to follow. Following the successful shows, Old Dominion will kick off the main stage at London’s C2C Festival in March which will get the festival off in top form with a high energy performance, a great atmosphere and will give us one hell of a party.